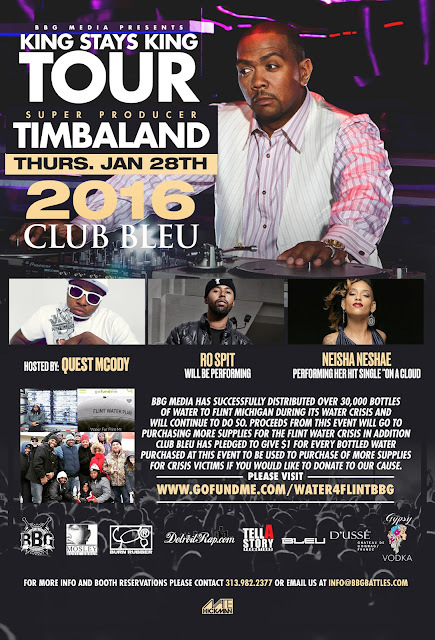 Battle rapper Quest MCODY, announced a special benefit concert for the victims of the Flint water situation. The event will take place this Thursday, January 28 at Bleu. Doors are at 9 p.m., it will cost $20 to get in, and celebrated, Grammy award-winning producer/ DJ/ musician/ mogul Timbaland will DJ and perform (along with Neisha Neshae and Ro Spit). All proceeds will go to relief for the water crisis. Just last week, Quest with the help of long time friend Tommy Taylor set up a GoFundMe page at www.gofundme.com/water4flintbbg, and leapt right into direct action with the help of their friends and family. If you donate to their GoFundMe campaign, you will also be assisting in their possible receiving matching funds. Quest just received a message from the GoFundMe organization which reads that the campaign that "raises the most money between 6:00am PT on Friday, January 22, 2016, through 6:00pm PT on Friday, January 29, 2016, to provide clean drinking water to the people of Flint, will receive a $10,000 contribution from GoFundMe." 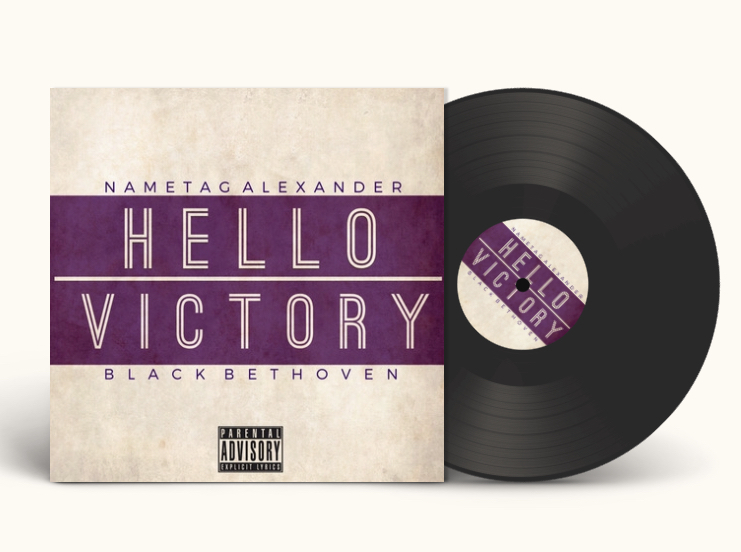 So, that's pretty cool. We reached Quest on the phone; he explains that he and cohorts "raised a thousand dollars, and put our own money in with it. Then we went out and distributed 30,000 bottles of water to the people of Flint. We rented a UHaul and went up there. We just wanted to show the people the action first; it's hard to call people to action without first showing the action yourself." This isn't the first time Quest and co. have raised money for local worthy causes. Over six years ago, Quest partnered with local musicians to stage a benefit concert for a local child diagnosed with a cancerous brain tumor. Since then, he's helped raise thousands of dollars to support other local causes as well. "The club is going to donate a dollar from every water purchased at the event, as well as the proceeds from the event," Quest says. "We're not looking to make money. I throw battle events and every single time we use a portion of the money from our events to help others. 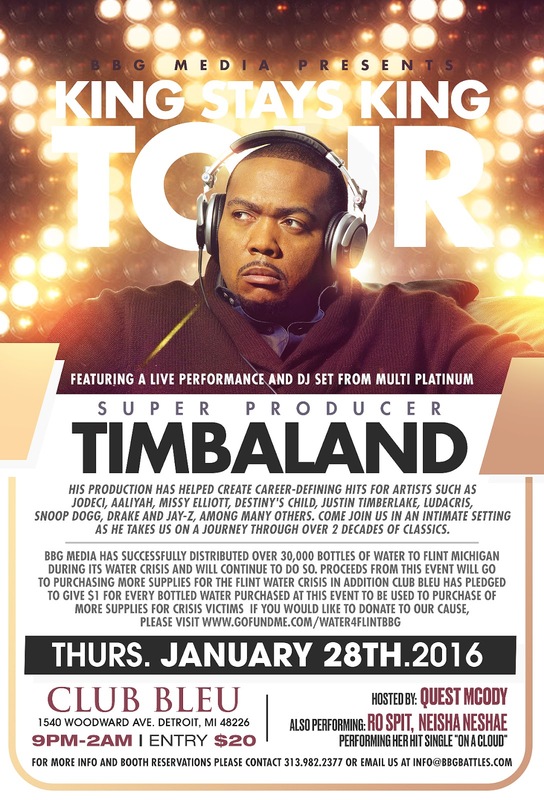 Timbaland, who has a new book out, had already pledged support for the Flint water crisis, so his appearance at this event is extra appreciated.